In part 1 the basics were explained. In this part II other topics will be treated like virtualizing, engineered systems, SE2, Unlimited License Agreements, Cloud and other stuff. Whenever I can I will link to other posts. Comments or additions are welcome. And of course, if there are still any questions left, just leave a reaction, or make use of our licency check. The information in this post is not intended to be used as legal statements or sources for negotiations with Oracle. I will be referring to some other documents and blogposts which can and should be used. The information is not exhaustive but will hopefully give the reader a guide how to cope with the model of Oracle at this moment (2016). Medium and large companies may decide to go for the ‘all-you-can-eat’-contract, the Unlimited License Agreement from Oracle. Quite complex and for specific needs, not without risks. You can read what it is, and what things you have to consider in this blog I wrote about it. When using Cloud PaaS, or SaaS product, there are most of the times no licenses involved. At Oracle Cloud you can choose between ‘metered’ (Pre-paid subscription, burning credits when using) and ‘unmetered’ (subscription per unit, standard terms of 1 or 3 years). When using IAAS in a cloud, and it’s a Bring Your Own License – model (BYOL), you will have to be sure it’s an authorized cloud. How the prices are calculated, is explained here. When it’s not an authorized cloud, it’s very risky, as it’s possible your environment is running on a huge VMware-environment. When moving your database-environment from the cloud to your on-premises environment, you have to consider the fact the database you created in the cloud may contain options you don’t have licenses for on-premises. Other relationships between cloud and licenses I tried to explain here. There used to be a Standard Edition, and a Standard Edition One. That has been replaced by the Standard Edition 2, since version 12.1.0.2. Main difference in the license-perspective is that Standard Edition had a minimum of 5 Named Users per organization, which was a very attractive deal for some organization. Standard Edition 2 has a minimum of 10 Named Users per server. This means most of the time an upgrade to SE2 costs some dollars. Most questions and answers about SE2 are answered in the Oracle’s upgrade blog. The formal statement is still that Oracle ‘does not recognize ‘ other virtual software than Oracle VM. Bottom-line is that questions will be answered, but serious problems will first be ‘replayed’ on physical hardware. In the early days this may technically be a hot item, in reality the VMware platform is one of the largest install-base of Oracle software and Oracle support will not refuse you to get support. Oracle has not certified any of its products on VMware virtualized environments. Oracle Support will assist customers running Oracle products on VMware in the following manner: Oracle will only provide support for issues that either are known to occur on the native OS, or can be demonstrated not to be as a result of running on VMware. Oracle Database Appliances (e.g. X6-2S, X6-2M, X5-2) can be used to use only the number of cores you have licenses for. You can license an ODA on NUP’s and processor, wrote about it earlier. On the ODA X5-2, baremetal configuration, only the Enterprise Edition of the database is allowed. The entry-level ODA’s may contain the Standard Edition database. How to use this mix of ODA’s I tried to explain here. For Exadata there’s a special arrangement. At least 40% of the cores must be licensed, as explained in this blog. When using Engineered systems, OracleVM may be used to limit the number of Oracle processor licenses needed.The use of Oracle Enterprise Manager is required. In the formal Oracle document about this there’s no mentioning of Oracle Database Appliance, for this is not recognized here as an Engineered system. However it is legit to use OracleVM in Oracle Database Appliances to limit the licenses. – Soft partitioning is not recognized , as stated in this document. As in part 1 of this blog-serie, Oracle is calculating the underlying number of hardware processors in the case of non-OracleVM infrastructure. And when it’s VMware, it is depending on the vSphere version. You can write a book about licensing Oracle on VMware, but I’ll try to stick with the facts. – Up to VMware 5.0: Fully license the physical hosts composing the VMware cluster. – VMware 5.X: Fully license all the physical hosts managed by the vCenter Server instance and not only the cluster instances. There are papers provided by VMware which state other guidelines, but I’d rather take no risk when Oracle is coming to count your licenses. Are this fair rules? I don’t think so, and when taking legal action against Oracle, taking them to Court, you probably win. There are examples of companies who tried to take Oracle to court and in the end both parties settled their dispute with a Non Disclosure Agreement. But that’s a policy not every company is willing to follow. These products are free and are good candidates to install on a VMware environment, the only thing you must be aware of is that you are not allowed to install your own schema’s or applications in those databases. So don’t touch it !!! As stated Enterprise Manager Cloud Control is free to use, even on VMware, when you don’t install your own objects in the database or weblogic. But when upgrading to a High Available configuration with the use of Weblogic clustering and RAC, you’ll have to pay for the weblogic / database ánd HA-options. I know organizations who are a bit afraid to use Oracle Enterprise Manager, because of the easiness of clicking the functions you have to pay for. 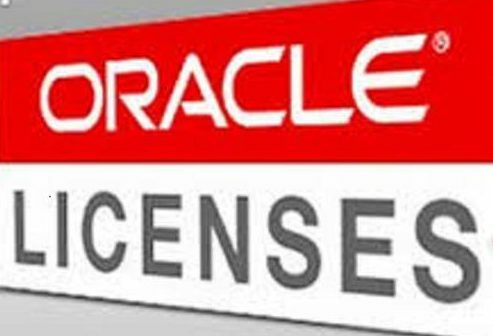 One thing to overcome that is to give role-based access to Oracle Enterprise Manager to gain control of the use of licenses. You can also see what licenses are needed on which option in the menu, which Dbakevlar explained in her blog. But some things are not very clear, e.g. do you need licenses when mailing the alerts to a mailbox? This I tried to explain in this blog. There are several standard reports in Enterprise Manager Cloud Control to list your assets in your environment and give an indication of your license compliancy. But Oracle LMS is developing BI Publisher reports for Oracle Enterprise Manager what could act in the future as compliancy reports to LMS, further explained here. OracleVM and Oracle Linux are free!! But you can invest in a support contract by Oracle, which is frankly quite cheap – a bit objectively speaking..
FAQ Oracle Linux : blog of Oracle-base with special attention to the free ‘yum’ repository. A lesser known option is the possibility for Redhat-users to move the Linux-support to Oracle, and continue to use RedHat. Wrote about it here. There’s a lot of misunderstanding about what to license when designing a disaster recovery environment. – Backup is free. Restoring on a not licensed server is free, but limited to 4 times a year, and not exceeding 2 days per restore. Goal should be testing the backup ! – The disaster recovery site must be licensed with the same metric as the primary site. When primary site has been licensed processor based, the disaster recovery site must be licensed processor based. But it’s allowed to license the disaster recovery site with less cores than the primary site. 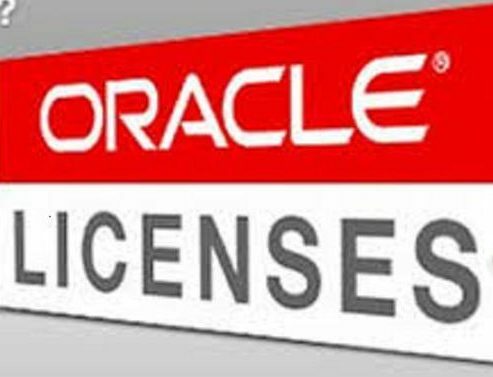 – When there’s Oracle software has been installed (the ‘binaries’ as Oracle called it) at the disaster recovery area, it must be licensed. – It’s allowed for 10 days to rebuild the primary site at the secundary site and run your business from there. After max 10 days, you must switch back to the primary site. I would like to appreciate your work for good accuracy and got informative knowledge from here. You are doing great job. You inspire me to write for other. Thank you very much. If you are licensed for Oracle Database EE, does that allow you to use lower versions (i.e. SE, etc) or do you need a specific license for the lower version as well ? If I have license oracle database EE in the primary site can I use oracle database SE in the DR site? Dear Khalid, good question. Formal statement Oracle: “Licensing metrics and program options on Production and Data Recovery/Secondary servers must match”. So unfortunately you should use EE at the DR site. But you are allowed to use nodes with less cores at the DR site. Regards. Great articles, but I am missing information around Sparc/Solaris servers. Sparc also has a core factor of 0.5 and hard partitioning is allowed and certified on Solaris, making it a great alternative for x86 environments for performance and security reliable Databases and Applications. Price/performance on Sparc/Solaris is actually better than comparable Intel Xeon and IBM Powers. Not only on the Hardware platform, but also in licensing it brings benefits.